America is desperate for more time. But while she's torn between her two futures, the rest of the Elite know exactly what they want - and America's chance to choose is about to slip away. STORY - My husband and friends would probably tease me for listening to this book. 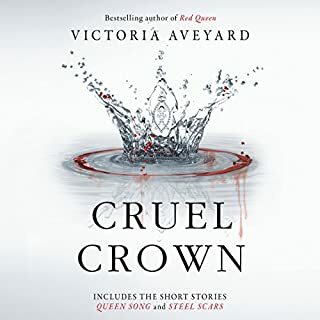 The characters are teenaged girls, and the story is a combination of the TV show The Bachelor and the Cinderella fairy tale -- girls competing for a prince. It's chick lit all the way! In this second book, The Selection has now become "The Elite," with only six competitors left from the larger original number. There are rivalries between the girls, as you might imagine. The main character, America, is not sure she's over the relationship with her old BF, who is now a guard at the palace where the competition is taking place. So there's a love triangle going on during the competition, plus the kingdom is experiencing political unrest and is under attack. It may be teenaged chick lit, but there's a lot that's going on in the story that I find totally enjoyable. It's a light, easy listen, with lots of young, innocent romance thrown in. I might be stupid at my age for enjoying this series, but I do. I can't wait for the third and final book to come out to see how everything ends up. (These books must be listened to in order, as each one leads into the next). NARRATION - The reader has an unusual way of reading which I can't quite describe. It sort of bothered me for maybe an hour into the first book, but after that I thought she was perfect for the rest of that book and this one as well. OVERALL - For females about 15 and up. There's no inapproprite language or situations. It might be too immature for some listeners, but not this one. This fan girl enjoyed it...love triangles and all! Just wow! Again, I can't believe how much I enjoyed this book. Like the Selection there were so many bad reviews that I almost didn't get this book. So glad I didn't listen to the haters. This book was amazing. 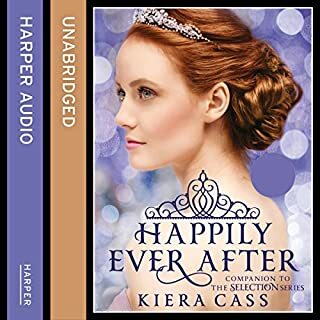 There were so many twists and turns and I enjoyed learning more about the world that Kiera Cass has created. I can sympathize with those who hated the love triangle. It's frustrating, but isn't that what a love triangle is suppose to do? Otherwise who cares about it?? This is suppose to be about a young girl who is confused and has a huge decision to make under a stressful situation. I really felt sympathy for her character. And I can totally understand how confused she must be over Maxon and Aspen. I don't get the negative reviews, but everyone is entitled to their opinion. If you enjoyed the Selection then I'm sure you will enjoy this one too. Just don't expect everything to be wrapped up and given to you with a bow on top. This is a trilogy and there is still more to come. This 2nd installment definitely left me wanting more and anticipating the final installment. I enjoyed the narrator and the cover art is simply breathtaking. 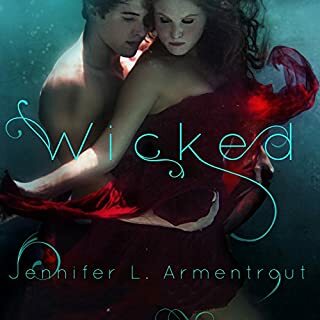 Normally I can easily predict the twists and turns of a book, especially a young adult novel, but with the Elite I was put n a roller coaster of twists and turns that I never saw coming. The evolution of characters was so amazing! I know you may think a series that is basically an elongated love triangle could not possibly have any large twists beyond the main character picking one person over the other. But Kiera Cass certainly did so and more. Not only that but the maturity in the storyline gave the plot so much more of an edge. 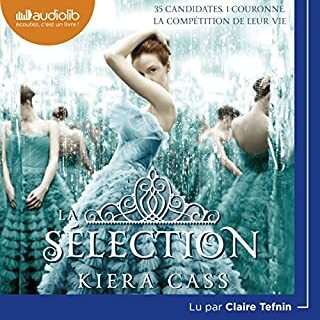 I can not wait for the next installment of the Selection series and I look forward to other series from Kiera Cass. 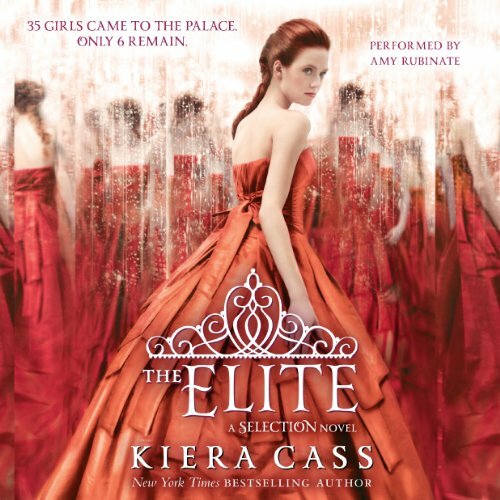 Would you consider the audio edition of The Elite to be better than the print version? Possibly - the narrator is a bit wooden. What other book might you compare The Elite to and why? Not sure about a book, but this is has The Bachelor pegged. I wouldn't compare it to the Hunger Games - which is far more brutal and way more is at stake. The narration is wooden but the male voices are okay. Didn't you just ask me about the audio version? I suppose I would have more to say if the narration was stellar but it's not. Grrrrrrllll... America has some serious issues. I really got irritated with her. LOVE TRIANGLE? I can't understand some of the choices she made and I kept having little heart attacks thinking she would get caught. Girl needs to pick a side. It was frustrating to watch her make demands but not do the same - hypocritical nature at its finest. And Prince Max, I'm not sure about him yet, but he's kind of got to play nice with all the girls so I'm not sure why she's all angry that he does. She' hasn't given him any assurances yet so why does he have to toss everyone aside with blind trust? Oh.... you'll see. Just listen to it. It's good. I would say - don't be in the middle of anything, like, oh, grad school, when you listen to this. It will keep you from doing homework because every moment leads you to the next. I cant. I CAN’T! If I never read another book with a love triangle it will be too soon. I loved the first book in this series. It was a fun lighthearted distopian which is not easy to do, and I really enjoyed it. This book... this book frustrated me more then any book has in a long, long time. Pretty much no story line but the ridiculous love triangle that goes nowhere by the way if anything it only gets more complicated. America made every single bad decisoin she could think of and we endend this book exactly where we started. Sure there are still some fun aspects of this book that made the first one so great, and yes, I will be reading/listening to the last one, but The Elite fell so short of my expectations I can hardly believe it. If you can’t help but find out what happens next then listen to this one at your own risk. Maybe after this warning you will be able to enjoy it more. Good luck. 17 sur 22 personne(s) ont trouvé cet avis utile. This book keeps making me angry that the stupid 17 yr old keeps making horrible decisions. And even worse, keeps getting away with them. Any boy, much less a prince should have given up on her long ago. I think the writer is so shallow and story line so weak. So Why then have I not given up? Maybe it's my dogged tonicity to persevere in the face of mediocrity, or my undying hope that there is a deeper story waiting to unveil itself. Perhaps it's because I bought book 3 by mistake first and so I wanted to see the first 2 books through to get my money's worth. I hope book 3 doesn't disappoint, or that will be the end. Happily ever after or not. The story was enjoyable but the narrator was really bad. Made it difficult to really enjoy the story. Story wise, I seem to prefer The Selection more, the characters just seems to grow more and more indecisive by the chapter, especially America. I don't understand why she keep going back to Aspen when she had already made a decision with herself that she is in love with Maxon. It doesn't help either that Maxson can't seem to make up his mind either even though he said very early on that the whole competition will be over once America decided that she wants him, yet the first thing he did was go off and date other women. However, despite all that, I did enjoy the revelation of the bigger underlying plots of the story hinting about the motives of the rebels and Maxon's family. It was all so gripping that I had finished the whole book in one sitting and will be continuing onto the next book, The One. I just hope all these love triangles, squares, pentagon, or whatever it was will go away soon, but I guess it's to be expected given the plot of the story, 35 girls and 1 prince. The first book was about the selection process and was entertaining as it painted a world much different than the world we live in today. The second book however is a boring and predictable to hold my attention. I had to force myself over days to finish the book and will not be reading book 3. It is clear what the book was going from book one and I will not waste money and time reading two books that could be summed up in the single paragraph. Save your credits and money and look for something else. 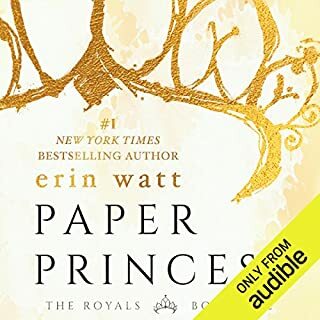 Though the whole thing takes place in a single palace and is centered around a bunch of girls trying to get one guy, this book still incorporates nail-biting political intrigue with its sweet romantic moments, and the characters are relatable, (though I often want to shake America for being so dumb - it's really just because I love her).